If you’re not sure why your door is causing you problems with the way it is operating, our skilled technicians will be able to get to the bottom of the problem. 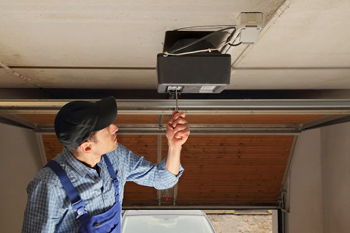 As the preferred garage door repair service, we have been able to take care of many unknown causes of malfunctioning garage doors. Usually, we discover that the problem you are having is due to the garage door opener. Our specialist can quickly, safely and effectively install a new one for you. Don’t go on using your door when there is clearly a problem. 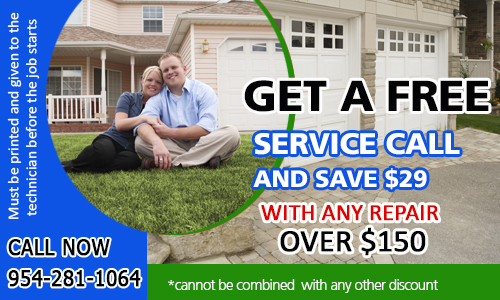 You can get affordable service in no time when you call us for your service needs. Our technicians are also capable of installing a new door system for you, and make sure it is in perfect working order. If you need repair services, we're a phone call away at (954) 281-1064. No job is too large or too small for this garage door company. We can replace that bottom rubber of your garage door that always falls off. We can replace the weather strip that no longer keeps the weather out. We can replace section of door that your child keeps running into with his bike. Do you have a broken emergency release or need broken spring repair/replacement? We can send a garage door contractor right out to get you operating properly again. We carry everything what you needs, we have to springs in Sunrise. Our expert and professional contractors can install a opener and a remote so you do not to get out of your cars to open the door. Come by our location at 2714 N University Dr Sunrise, Fl 33322 and find the right parts for you. 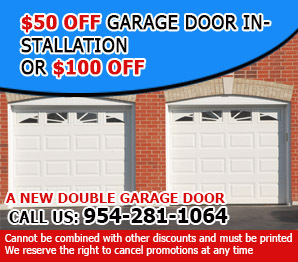 In addition to our garage door installation/replacement service we also have door maintenance and adjustment service. We can also do regularly maintenance on your new springs to keep them in tip top shape or on your old ones to get them working properly again. We also do door opener trouble shooting which can help you decide if your old one is worth salvaging or if it is time for a new door opener. If you are considering the genie or the Liftmaster, why not check out the Genie Intellicode door remote or the Liftmaster Security+. We have both in stock along with the Multicode and the Clicker. When you install a door opener keep in mind that there are three types, the screw drive, the belt drive and the chain drive. If you don't know the difference, don't worry, we do. We can make sure you have the right type of drive and the right opener for your door. You do not need to leave Sunrise to find the best door parts selection. We have it at Garage Door Repair Sunrise all the time. Give our door service a try; you will be glad that you did. That means that we emphasize quality and functionality in all our work. 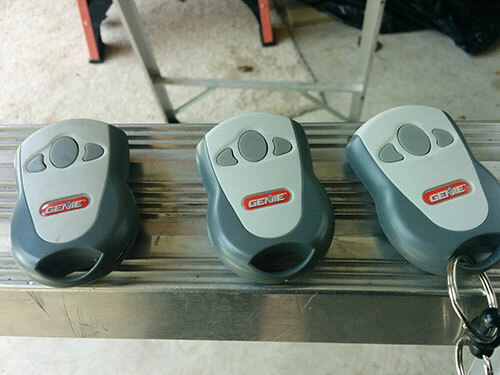 We will do everything from dealing with garage door openers to major upgrades. The fact that we have the best equipment also helps because we are confident that we can deal with all the requirements.